The Inquirer’s Joseph DiStefano reported last week that Standard and Poor’s is threatening to cut Pennsylvania’s credit rating due to the states failure to address the structural budget deficit. Ratings on debt issued by Pennsylvania have been downgraded five times in the last four years and every downgrade costs the commonwealth tens of millions of dollars on each billion dollars of borrowing. Spending more than we should to borrow money means spending less on making sure that every child in Pennsylvania gets access to a high quality public education. What often gets lost in the discourse about future tax increases or spending cuts is the reality that the state has already made drastic cuts to public education and social services over the last few years, while still running up future deficits and we’ve seen the consequences. 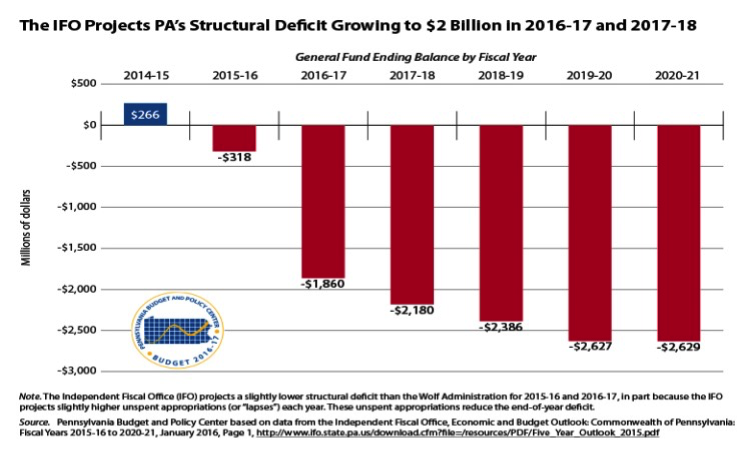 While many are content on pointing fingers at Governor Wolf for vetoing the GOP budget proposal in December, the reality is he, unlike GOP leadership in Harrisburg, is willing to address the hard truths about the state’s fiscal future. S&P is confirming what Governor Wolf has been saying for months. The only remaining option for a sustainable budgetary environment in Pennsylvania is the consideration of reasonable revenue mechanisms. Now that it isn’t just their political opponents who are saying it, will the GOP leadership listen?